With so many different schemes available finding the right one for you can seem quite confusing. Our experts are available for a free no obligation meeting to guide you through the different government backed schemes available. 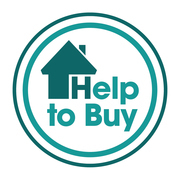 The Help to Buy Equity Loan is available to both first time buyers and those who have owned a property before. If you have the minimum 5% deposit (You can of course put down a bigger deposit) and want to buy a new build home, the Help to Buy Equity Loan scheme will be available to you. If you qualify for a mortgage of 75% of the value of the property the remaining 20% will be funded by the government. • Step by step guidance helping you through the H2B process.